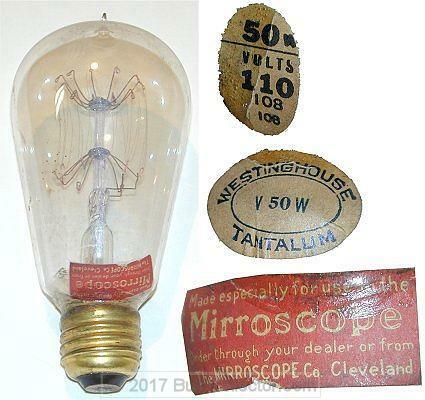 This Westinghouse tantalum filament lamp also exhibits a red Mirroscope label. This label reads: "Made especially for use in the Mirroscope. Order through your dealer or from the Mirroscope Company, Cleveland."